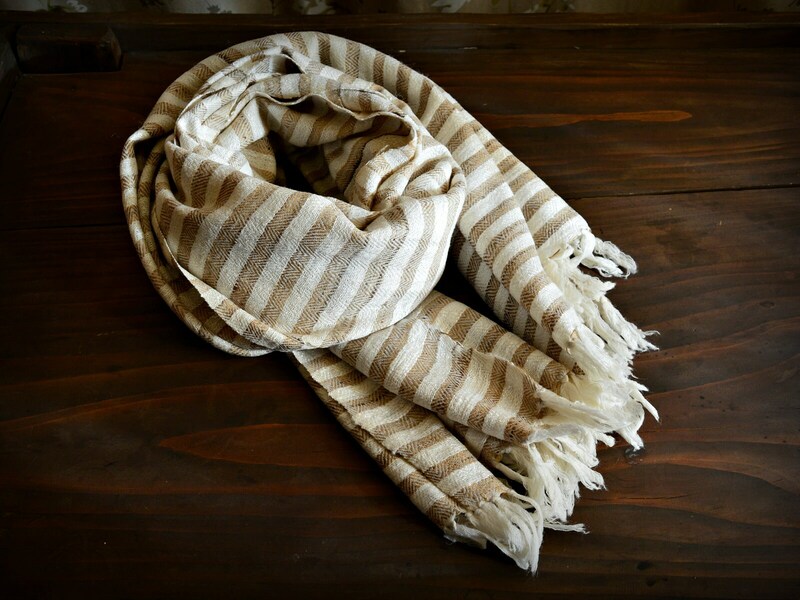 Feel the luxury of silk combined with the warmth and coziness of wool in this beautiful, reversible (double-sided) shawl in beautiful shades of ecru with golden-beige stripes. The shawl has a slight shine, very subtle and stylish. 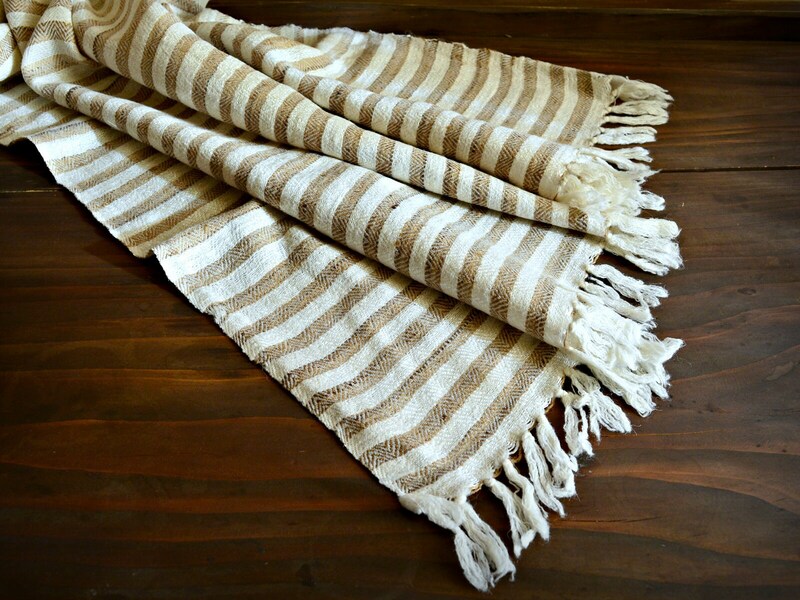 The large wrap was handwoven of 100% natural fibers: silk for weft and wool for warp. Colors: ecru with golden-beige stripes.